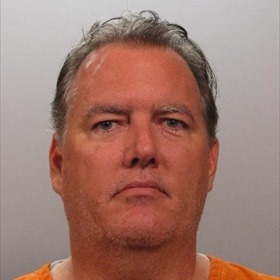 Michael Dunn is scheduled to stand trial on feb 3, 2014 for the murder of Jordan Davis. Michael Dunn, the white middle-aged male who opened fire on a car full of teens was in court today for a final pretrial hearing just weeks before he faces a jury in the high profile murder trial. Today’s hearing focused on questions about public access to the case. Lawyers argued about whether or not jurors should be sequestered during the trial. The judge did not issue a ruling in today’s hearing on the matter. Dunn claimed he was acting in self-defense when he open fire on vehicle full of black teens after arguing with them about turning down their music while both vehicles were parked at a gas station in Jacksonville. Jordan Davis who was a passenger in the vehicle was struck and killed by rounds fired from Dunn’s gun. No weapon was found in the vehicle or anywhere on the premises at the scene of the crime. Dunn after opening fire on the teens fled with his girlfriend and found at his home the next day, which was over 150 miles away from Jackson. Dunn did settle a wrongful death lawsuit, which was brought by the family of Jordan Davis. The terms of the settlement were not disclosed. Barring any delays, Dunn’s murder trial will start on February 3 this year.